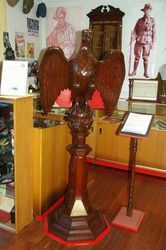 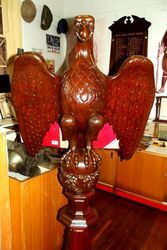 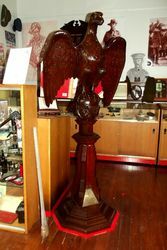 The Carved Eagle Lectern commemorates those who served and those who gave their lives in World War One. Note : An eagle lectern is a lectern in the shape of an eagle on whose outstretched wings the Bible rests. 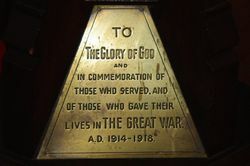 They are very common in Christian churches and cathedrals.